Max. motor power 15 H.P. Max. motor power 10 H.P. Max. motor power 20 H.P. Max. motor power 30 H.P. Max. motor power 40 H.P. Inflatable boat – 1 pc. Seat (bench), rigid – 2 pcs. Floor (floorboard) sections – 6-8 pcs. Skipper handle (embedded) – 1 pc. Drain valve (embedded) – 1 pc. Repair kit – 1 pс. Towing eye (embedded) – 2 pcs. Boat carrying bag – 1 pc. Floorboard carrying bag – 1 pc. Carrying bag for the foot pump/ accessories – 1 pc. Operation manual (passport) – 1 pс. It takes only 10 minutes to assemble the boat by using a regular pump. We know that the installation of traditional floorboards is a big problem for many users, that’s why we developed a unique easy-to-assemble hard floor which is installed or removed without deflating the boat. The floor consists of several trapezoidal elements, which are made of the lightweight, water-resistant, durable glass-fibre reinforced plastic and aluminium profiles. Side aluminium profiles fit together with the stringers while installing the floor and thus add to the overall floor rigidity. The stringers come as a part of each boat set. There are two benches (hard seats) dedicated for accommodating people in the cockpit. The benches are made of the lightweight, water-resistant, high-strength 22 mm thick glass-fibre reinforced plastic. The benches are fastened to the boat hull by means of a bolt rope (special flexible profile), installed onboard the boat, and a mast track (special rigid profile), installed on the bench. The design feature of the ‘’bolt rope – mast track’’ system provides for easy moving of the bench along the boat, which ensures convenient accommodation of people and easy loading onboard (of the boat). 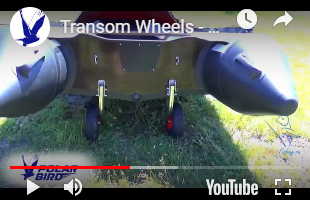 One of the elements that needs to be protected from cuts, punctures and fray is the tube, in particular, its lower part, which frays and wears out when the boat is taken ashore. 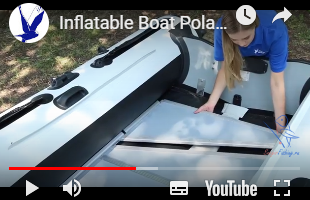 The standard set of Polar Bird® inflatable boats has the tubes protected with a 90 mm wide PVC profile, which significantly improves protection of the boat from damage. 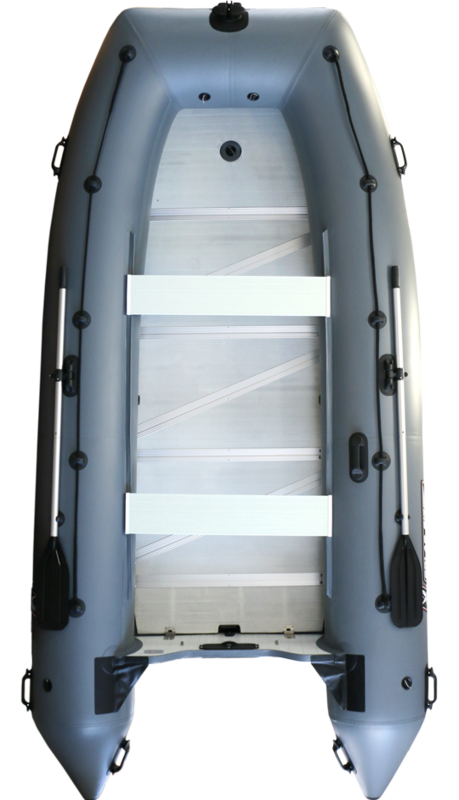 For lateral protection of the tube, Polar Bird® inflatable boat tubes feature wide elastic PVC-moulded rails with splashboards on the external side of the boat. 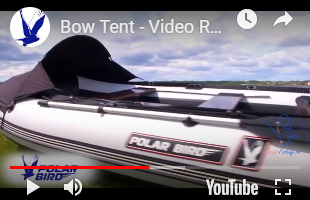 The reils also serve for fastening the bow tent, cockpit tent or boat cover on the boat. 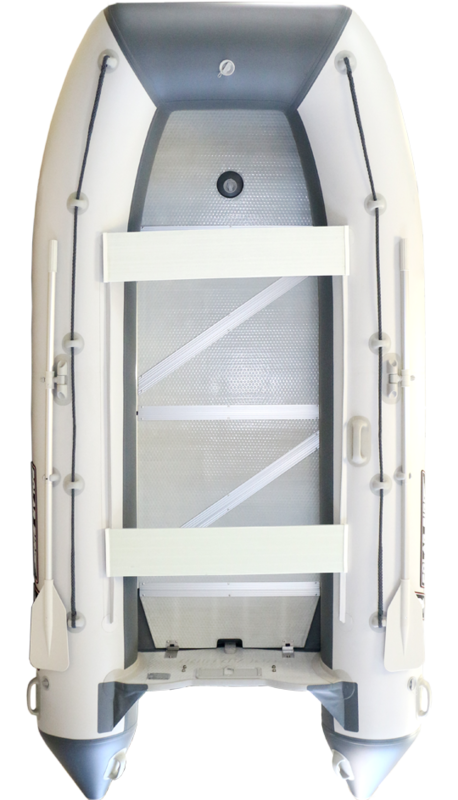 A transom made of the lightweight glass-fibre reinforced plastic (27 mm thick (Merlin) and 35 mm (Eagle)) is installed in the stern section of the Polar Bird® inflatable boats. It includes the outboard motor mount plates. The outer and inner plates are made of the high-strength polymer material. The transom is glued in by using the PVC transom holders. The transom is protected on top by using a П-shaped profile made of PVC. The standard set of Merlin and Eagle boats has already been equipped. 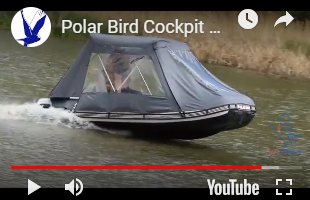 Polar Bird® inflatable motor boats feature a secure eye-ring at the bottom part of the tube dedicated for mooring, anchoring and towing of the boat. The boats of Eagle series are outfitted with an eye-handle. The grab rope is installed on the top of the tubes along the perimeter of the boat to ensure comfort and safety both for the skipper and the passengers. External grab rope serves to assist the swimmers outboard the boat, to fasten fishing snap, etc. 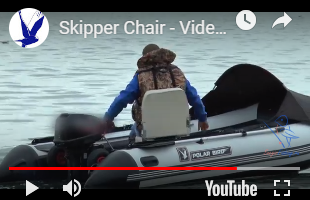 The grab rope along the perimeter of the boat also serves for the comfort of passengers, providing them with the opportunity to hold on to it when the boat moves on the water. Unique patent pending hard floor design. We know that the installation of traditional floorboards is a big problem for many users, that’s why we developed a unique easy-to-assemble hard floor which is installed or removed without deflating the boat. The floor consists of several trapezoidal elements, which are made of the lightweight, water-resistant, durable glass-fibre reinforced plastic and aluminium profiles. Polar Bird® inflatable boats are made of PVC fabric produced by the company Mehler, with a density of 900-1100 g/m2. The tube diameter is one of the largest in its range: 460 mm (Merlin) and 530 mm (Eagle), which ensures enhanced stability, load capacity and safety on the water. 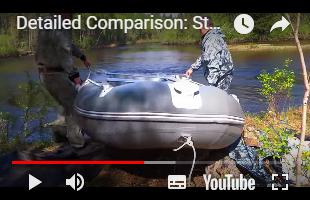 Polar Bird®™ inflatable boats feature a wide cockpit: 820 mm (Merlin), 960 mm (Eagle) and an extended bow section, which provides some extra useful space inside the boat. The hull of the boats of Merlin series is divided into three air chambers + keel, the boats of Eagle series feature 4 air chambers + keel. All the boats of Merlin series are outfitted with an overpressure relief valve, the boats of Eagle series – with 2 overpressure relief valves.